QuickCAM Systems recently launched BathCAD throughout Australia and New Zealand. The latest in a new series of ArtiCAD products to be made available down under. Developed continuously over twenty years and currently in version 20, BathCAD is uniquely fast and easy to learn. 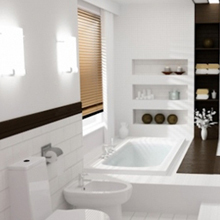 A standard bathroom design takes just minutes to generate and includes accurate dimensioned plans, stunning 3D photorealistic images, detailed layouts for installation and a full list of all the included items ready for pricing and ordering. From the UK’s largest retailer, Bathstore, to the independent designer or installer, BathCAD is proven to help you sell more, and to sell more quickly: it accelerates the sales cycle, enables you to respond quickly and accurately to customer requests – and engages your clients with stunningly realistic 3D presentations which really bring your designs to life. BathCAD also integrates with interactive and web based RoomPlanner, designed to generate sales leads and RoomStyler designed to help select styles and finishes.